How much is Ryan Tedder Worth? Ryan Tedder net worth: Ryan Tedder is an American singer-songwriter, musician, and producer who has a net worth of $30 million dollars. 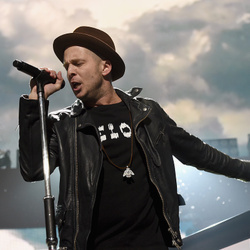 Ryan Tedder is the front-man for the popular band OneRepublic, but also has a strong reputation as a songwriter, having penned songs for everyone from Beyonce to Paul Oakenfold. 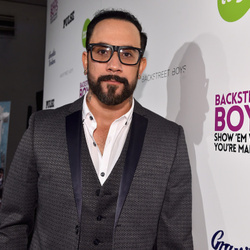 He also wrote two of the most played songs in radio history, "Apologize" and "Bleeding Love". 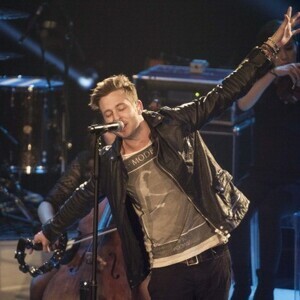 Ryan Tedder was born in Tulsa, Oklahoma, and began playing piano before he started kindergarten. He discovered a love of singing while in elementary school. He went on to graduate from Oral Roberts University with degrees in Public Relations and Advertising, but continued singing and playing piano throughout his college years. He worked odd jobs while trying to break into the music industry, and eventually secured an internship at Dreamworks SKG in Nashville. This led to a job producing demos for other artists and labels. He began to gain some recognition as an artist when he won an MTV contest produced by Lance Bass of N'Sync. The show offered a recording contract that never materialized. He then caught the attention of Timbaland, who helped him develop his own sound while he produced tracks for other artists. 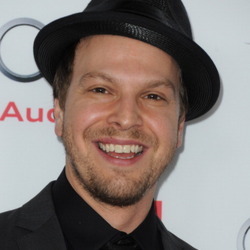 He went on to write and perform the international smash hit song, "Apologize", with his band OneRepublic. He has also written and produced hit songs for such artists as Leona Lewis ("Bleeding Love"), Beyonce ("Halo"), Kelly Clarkson ("Already Gone"), Jennifer Lopez ("Do It Well"), and Jordin Sparks ("Battlefield"), among many, many others.